Multi-awarded host Luis Manzano says acting is also important to him because it provides him an avenue for growth. 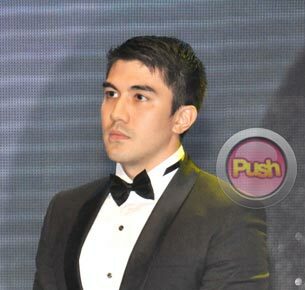 After almost three years, Luis Manzano returns to TV acting via the teleserye Alta. The actor-host’s last series was Dyosa (2008-2009) with Anne Curtis. In Alta, Luis will play the role of Rafael whose achievements are always not good enough for his family. “Medyo may similarity siya sa character ko sa (2009 movie) In My Life, kay Mark dahil it was basically saying me not living up to the expectations,” he explained. Since he concentrated on hosting in the past couple of years, Luis admitted that he had to familiarize himself again in acting. “Naninibago [ako], kahit sa standby area ang kulit-kulit ko, kumbaga andun pa rin ‘yung [pagiging] host ko.” Still, he said that acting is important to him because it provides him an avenue for growth. “Sabi ko nga it’s still one thing that I have to do being part of the industry. I want to grow in this industry hindi lang puro hosting. Kahit paano nga I’m fortunate enough na ma-recognize sa acting so it makes you yearn for more. Gusto mong iangat ang pag-arte mo,” he explained. Luis earned two Best Supporting Actor trophies in 2009 for his role in In My Life.